​Continuing Education Credits will be available for some professional fields (SAF CFEs, CLE credits, NASBA, etc). For more information, please contact the NS Executive Ed program at execed@nicholas.duke.edu. Classroom sessions may be subject to modification. 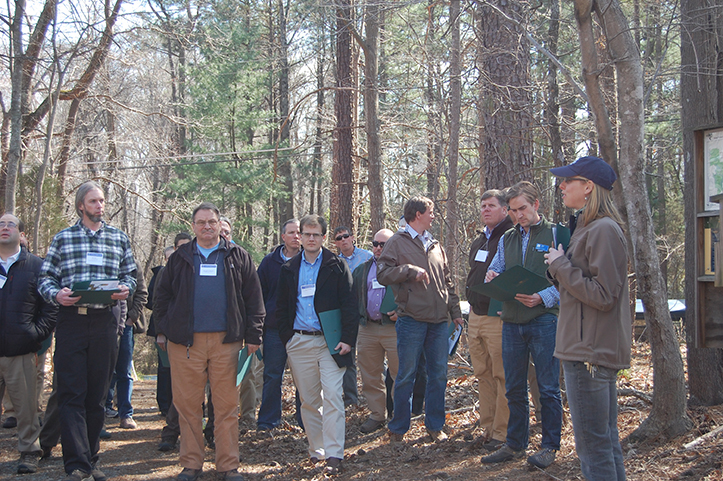 Duke Forest Program Director Sara Childs leads a field visit during a previous Timberland investments class. 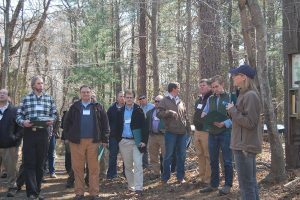 Experienced managers of timberland investment management organizations, attorneys, and Duke instructors describe and analyze the global opportunity set of investments, trends, alternative strategies and tactics, timber-market fundamentals, the development of markets in ecological services, financial reporting and tax considerations, risk management, and financial criteria for assessing alternatives. Why include timberland in an investment portfolio?